'Our work is rich in colour, texture and light. The process of working with our clients is always great fun, detailed and important but above all it is exciting and stimulating!' Based in Sussex, Katherine and the team serve locally in and around Sussex, London and also undertake projects in Spain. Katherine Richards Design provides a tailored design service focussing on the lifestyles and personalities of their clients. Katherine, whose background is in theatre stage and costume design, is particularly interested in lighting and the way in which her clients use colour and she is committed to ensuring they achieve their perfect living environment both aesthetically and practically. Katherine's experience means that she is able to fully understand the emotional impact our homes have on us and the importance of creating psychologically informed environments. With forty years of design experience Katherine Richards' clients can feel confident in the quality of the service they will receive and the value of the advice they will be given. Katherine and her team will ensure the smooth and timely delivery of projects which can vary from large refurbishments and extensions to smaller ventures. Pfeiffer Design offer a range of interior design services for both the interior and exterior of residential and commercial properties. Our interior design services are flexible and tailored to meet the unique requirements of each client. Whether it’s a total property renovation or simply one room you wish to redesign , Pfeiffer Design has the skills, experience and resources to create a stunning space designed around you. 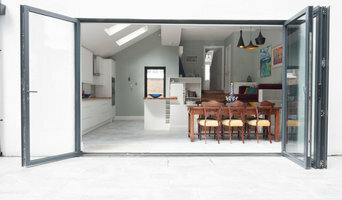 Our East Sussex-based studio covers projects in Sussex, Surrey, Kent, London and the South East. Susie Pfeiffer is a British Institute of Interior Design Registered Interior Designer® The British Institute of Interior Design (BIID) is the UK professional body for interior designers. BIID Registered Interior Designer® is a symbol that an individual has met the highest standard of professional competence set by the government recognised institute for the interior design profession. Launched in 2016, BIID Registered Interior Designer® is a protected professional title for interior designers. It provides a way for clients, designers and other built environment professionals to identify interior designers who have met the BIID’s rigorous professional standards. Our clients therefore benefit from our stringent levels of professionalism and years of industry experience; as well as a guarantee that we have all professional indemnities in place, high-level health & safety qualifications and are government regulated. As a BIID Registered Interior Designer, Susie Pfeiffer has met the British Institute of Interior Design’s rigorous entry requirements; assessing qualifications, experience and professionalism. She is also required to continue professional development indefinitely, in order to prove continued expertise and knowledge. We always strive to deliver affordable quality interior design that's as individual as each of our clients. We don't impose a style, we listen and we help you realise your ambition to create the perfect home or business space for you. We work openly and collaboratively so you know exactly what's what and there are no unwanted surprises. We go the extra mile, putting our clients first. It's our philosophy, so to speak, in all that we do. Smartstyle Interiors is an innovative interior design studio with a holistic approach. In an age where inspiration, trends and must-buy messages are coming at us 24/7, it is too easy to end up living with a look designed for someone else’s life. We believe truly good design is more than just visually pleasing; it also has to work brilliantly and feel fantastic. By understanding the connection between the physical, emotional and visual triggers in our daily lives, we can create spaces that embrace our lifestyle and feed our soul. Elizabeth is an experienced and skilled interior designer based near Brighton in Hurstpierpoint, West Sussex, providing dynamic and stylish interior design for mid to high end residential and commercial projects. With her wealth of knowledge and expertise she provides a friendly and professional service, working closely with her clients to understand their vision. Elizabeth Bee Interior Design offers a flexible design service, which can be tailored to your needs from a full interior design service to advice on an hourly basis. Victoria Caldwell Design was founded in 2010 to offer clients the opportunity to benefit from an independent consultancy with broad experience Residential Interior Design field. We manage projects with both interior design companies and developers as well as private clients. BIID Registered Interior Designer®. Brighton-based interior design company run by Chloe Bullock - offering commercial and residential interior design, with eco-friendly and 'cruelty free' specification options. 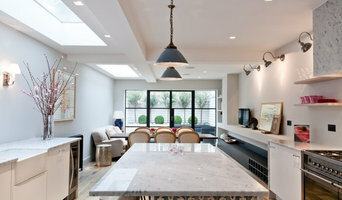 Katie Elizabeth Design offers a wide range of bespoke services and specialises in residential projects large and small. Offering a highly personalised service, placing great importance and commitment to building strong client relationships always tailoring the approach to meet each individual client’s needs and delivering on time and budget. Confident in a wide range of styles from modern to traditional Katie Elizabeth Design helps to achieve the best from your space, taste and lifestyle. These two closely related professions are often mistaken for the same thing, however there are some significant differences to be aware of before deciding which to hire. An interior designer, sometimes known as an interiors architect, can run full renovation and structural design projects, and will use specialised knowledge of interior architecture, construction systems and components, building regulations, materials and furnishings to arrive at your dream home design. Interior design companies are able to plan spaces and room functions down to the last detail, and can help design and renovate interiors, from initial planning phases to placing the last decorative accessory. A decorator on the other hand will typically be involved only in the aesthetic layer, the “look and feel” of a space, and won’t be able to assist in renovations that require structural work. Interior decorators normally come on board after all structural work is complete. 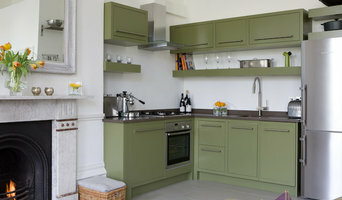 So choose your Brighton, East Sussex interior designer according to the type of work you need. Why should I hire an interior designer in Brighton, East Sussex? They say life is what happens while you’re busy making plans. Some of us are just too preoccupied with a career and/or family to think about colour schemes, wallpaper, flooring and lighting. A professional interior designer in Brighton, East Sussex can save you bags of time, stress and months, if not years, of living in a half-finished home. It’s their job to stay on top of the latest trends and to have contacts and visual references coming out of their ears. Interior designers and decorators can also save you money, sourcing products via trade contacts or offering affordable alternatives to blowout iconic designs. 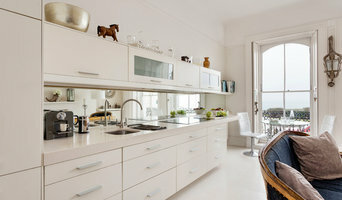 How do I choose the right Brighton, East Sussex interior designer for my home? Good design and visual inspiration are all around us. 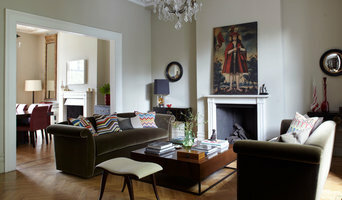 Start by searching for interior architects and interior designers in Brighton, East Sussex on Houzz. Keep a lookout for images of rooms and features that you really like and save them to your Ideabooks to begin to develop an understanding of your own style and taste. If you notice that photos from the same interior design companies are popping up regularly then that is a good hint that they could be your perfect design match. You can feel most confident if you hire an interior designer or interior design company in Brighton, East Sussex that has completed work similar to the look and feel that you desire, whether that is a mix-and-match lounge oozing mid-century modern style, a pale and interesting minimalist bedroom with shots of colour, or a beautiful space inspired by Scandinavian design. How much does an interior designer in Brighton, East Sussex cost? What are some of the important questions to ask Brighton, East Sussex interior designers or interior decorators? Start searching for an interior design Brighton, East Sussex professional in your area who can bring life to your interiors and reinvent your home for you. Look through reviews, projects and ratings to decide on the best interior designer in Brighton, East Sussex for your taste and style.